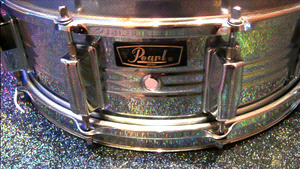 KitMonsters – Pearl Jupiter Snare. The music makers’ guide to making music. This vintage snare is five and half inches deep and really packs a punch. It is used by the likes of new British band Decoy Jet who say that unlike a lot of modern snares, the Jupiter features an internal dampener. You can change between a dry/wet sound without the need for external dampening such as gaffer tape or dampening gel.